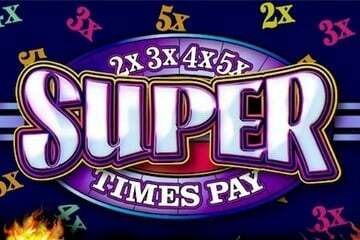 This 2x3x4x5x slots game is quite a special one for me, because I once saw a guy in Vegas get the big prize and win over ten thousands of dollars. As you can imagine, he was crazy happy with his win and it caused a real stir in the casino. This free version is a new and improved one, updated to bring it into the modern world. Having spoken to several people about the game, most people absolutely love it and would never go back, but some prefer the original. The big thing that I love about the 2x3x (etc) online slot, is the way it retains a lot of the classic aspects that the original had, whilst at the same time, introducing new elements, like it's bonus round. You will notice that the sounds as you spint he reels are basically identical to the classic game you would have played in Vegas 10 years ago, but it has been brought right up to date. The bonus is really fun and different. You get to roll a couple of dice and if you get two 1s or two 6s that is the best result and you get a big win and keep on spinning. Any other combo apart from a total of 7. It's a bit like craps. Although the bonus is massive fun, the secret to winning big in these 3 reel slots is invariably during regular play. If you stack up a load of those multiplier symbols in a row, you get truly huge wins.